ABH Services Plc is a legally registered company in Ethiopia to provide technical and logistic support for short term trainings, consultancy works, operational research, and project & program implementation. ABH grew out of the capacity building fields of clinical training, education, research and development. ABH’s core staff worked as independent consultants and trainers and together in a consortium of trainers and educators in the three old medical schools at both clinical and public health departments and in many other international NGOs. In addition, they have served as key resource persons in the implementation of HIV/AIDS prevention, care and treatment programs under the HIV/AIDS prevention and control office (HAPCO) at national and regional level. ABH staffs maintain close ties with governmental and nongovernmental organizations, teaching and research institutions and such combination of extensive training experience with substantial expertise in training services making it one of our core strengths. 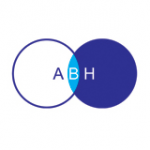 This enables ABH to offer a wide range of services to suit a diverse set of clients working on national health priorities.